I own an older Coachman motorhome. I have a problem with the charging system. When I plug the RV into an electric outlet my auxiliary battery becomes overheated (very hot) with a strong sulfur smell. This has happened numerous times and every time I have to disconnect the battery so that it doesn't blow up. I have had the RV to a technician and he removed the converter and had it checked out. I removed the solenoid located behind the battery on the fender and had it checked. Any information that you can provide would be greatly appreciated. Kevin, I’m sure you’ll agree, battery problems seem to ever nag us. 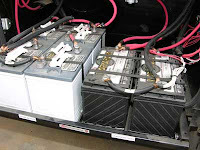 The first step in troubleshooting any problem with an RV battery system is to analyze the battery itself. Sulfated batteries simply will not hold a charge and are prone to overheating while charging. The degree of sulfation is also proportionate to its ability to hold a charge. All batteries self-discharge, but sulfated plates quicken the rate. See if your local RV service shop has a carbon-pile battery load tester. This test will provide insight to the internal happenings of the battery. Clean and tight electrical connections are also extremely important. Corrosive terminals and faulty connections all lead to early current loss. Don't overlook the negative side of DC circuits as well. Additionally, older motorhomes are notorious for employing mediocre or even inadequate charging systems. The alternators and converter/chargers of old did not have the technical algorithms available today for proper and complete automatic battery charging. Rarely did the batteries ever reach full charge unless plugged into shore power for a very long time. Some were quick to reach an overheated charge rate; I suspect this issue with yours. Tests should also be performed on the battery circuits to determine if any current loss exists. Some small, parasitic drains are normal, but when current losses approach 700-800 milli-amps, something needs to be rectified. Obviously, a larger drain on a battery is even worse. Any Certified Technician can easily perform this test for you, but if you have a good, quality multi-meter, you can even do it yourself. Consider ordering my video, "Testing the Battery Systems - the Basics." There is good news, however. 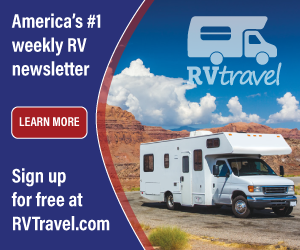 Today there are aftermarket alternators and chargers (available on-lne or at your local RV parts dealer) that increase the RVers ability to extend the electrical life in the batteries. Also, newer battery technology has improved battery performance and has minimized over-charging risks. It should be a consideration for all "serious" RVers of older coaches to upgrade to high-tech batteries, sophisticated three-step chargers and high output automotive alternators. Electrical woes will certainly be minimized and under proper usage, completely eliminated.